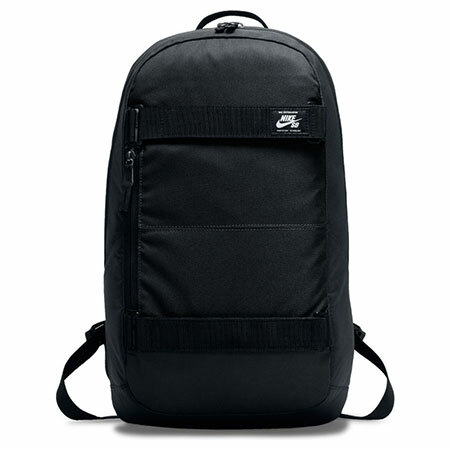 Men's Nike SB Courthouse Backpack provides ample room for gear storage with straps at the front to hold your board. Its durable polyester design features several pockets and a sleeve for your laptop. Water-resistant bottom helps keep your gear dry. Straps on the front lock your skateboard in place. 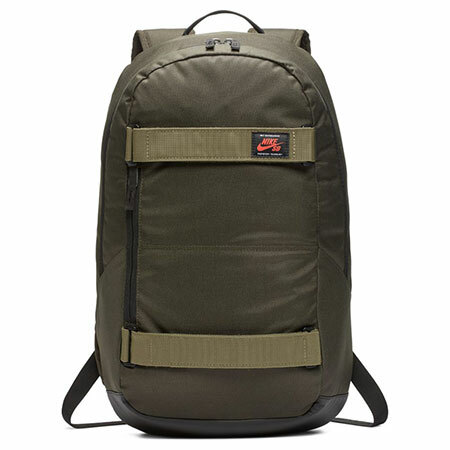 Side pockets are accessible while carrying your board. Polyester construction has a densely woven design that creates a durable material. Large zippered main compartment provides ample storage for your gear. Front small-item pocket provides secure storage and is accessible even when your board is attached.